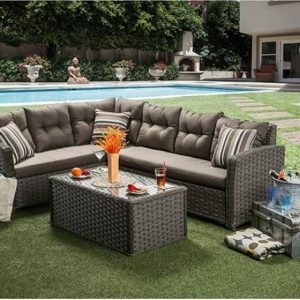 Chic and luxurious, you’re going to love the look of this sectional in your backyard. 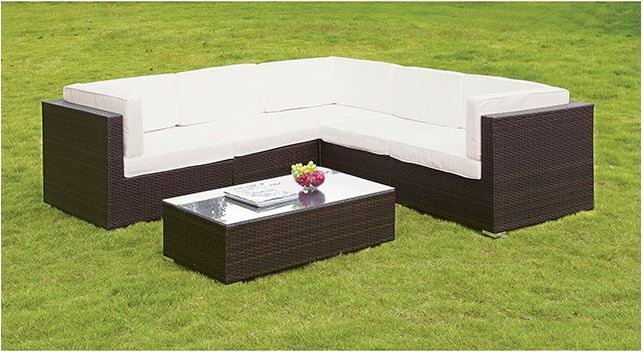 An elegant design with its dark wicker frame, the bright cushions in red or white color options pop visually and make a serious statement for any setting. 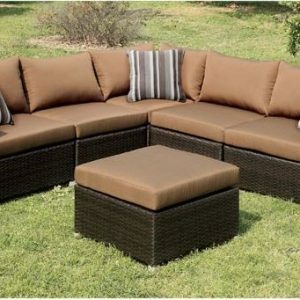 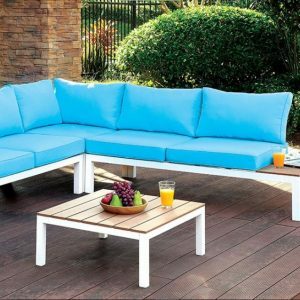 Accompanied with a glass top coffee table, this sectional set provides more than enough room for all your friends so go on and invite over your best buds to enjoy the outdoors with you.